Outside, the rain is lashing the windows in the most un-spring-like way. I dream of sunny weather, long walks and the many spectacular miracles of nature that are just around the corner. For now, however, this toucan will have to do. I hope you like it! The moon slips out from behind a cloud, bathing the clearing in gentle light and the leaves and grass are outlined in glimmering silver . An owl raises its head, its gleaming eyes reflecting the mystical glow as it sweeps its capturing gave over all that shines below it on the forest floor. Spreading its huge, graceful wings, it launches itself into the dark night, a ghostly silhouette against the golden moon. 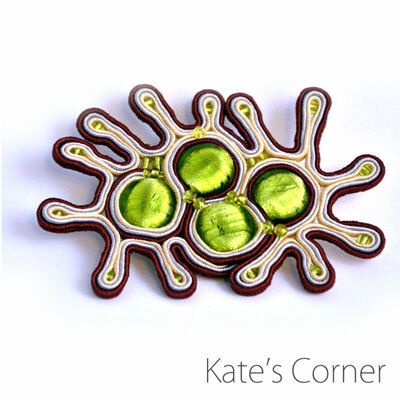 Ok, this is my new brooch. I hope you like it! This is a small dog brooch I made for a young dog lover who is my daughter’s friend. 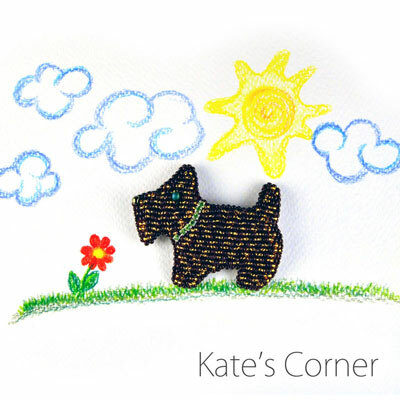 This miniature pooch is enjoying the warm, golden sunshine, as he sprints across the bottle green fields. He swerves past snow white daisies and cheery yellow dandelions, when he catches sight of a beautiful red flower and stops to take in its fresh, sweet smell. Spring is coming everyone! 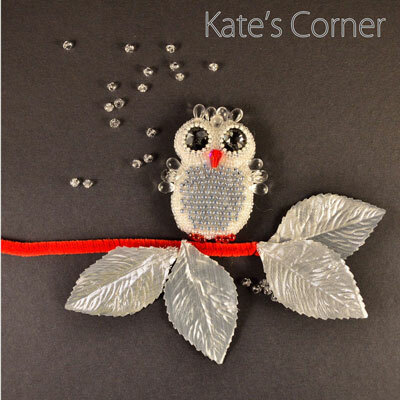 Hope you like the brooch. 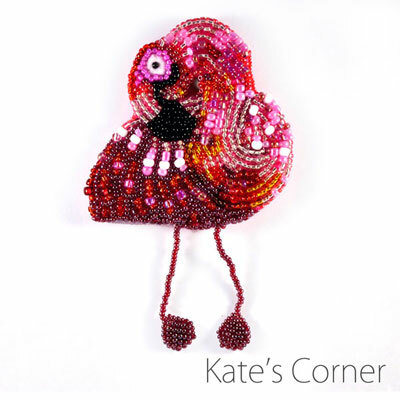 This beaded brooch was made for a red jewellery challenge. Why did I yet again choose a bird? My friends know that my family are bird watchers. We love long walks and spy on wild birds. 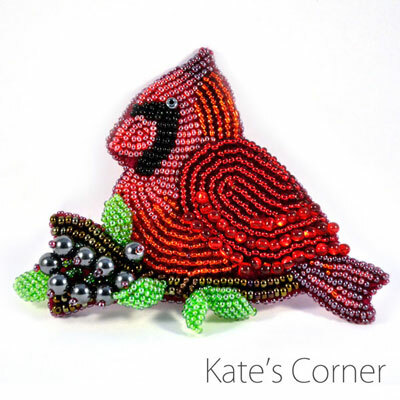 So no wonder that when I heard about the red competition I decide to create this stunning cardinal. What can be more red than this small bird that lives in North and South America? Nothing! 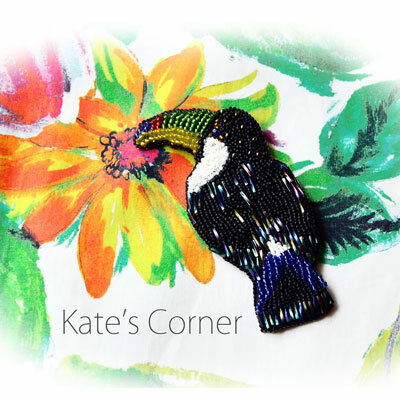 I absolutely adore these feathered wonders and I hope that you will enjoy my brooch as much as I enjoy these beautiful birds. Everywhere I look, I see blooming flowers. My balcony is purple and yellow, the daffodils and crocuses are erupting from their bulbs. Spring really has arrived – at last! I am so happy! 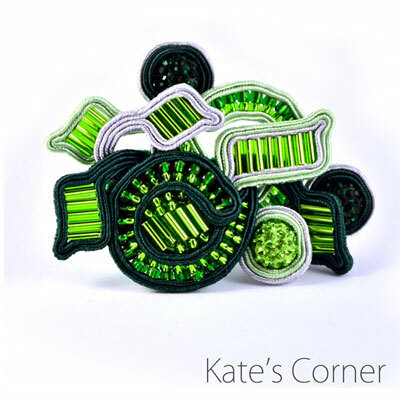 Spring went to Kreatywny Kufer too.The brooch you see here was designed for their new competition. The challenge this time was to draw inspiration from the photo you can see below. Alice in Wonderland is one of my favourite books. I was also impressed by the Tim Burton film. So, no wonder that I decided to take part in a competition organised by the Kreatywny Kufer blog for a handmade jewellery item inspired by Alice in Wonderland. When I read this book for the first time, I was eight or nine then, it was a big surprise for me that flamingos and hedgehogs were actually used in Wonderland to play croquet! I had no doubt what I should do – a flamingo! This is my film inspiration. 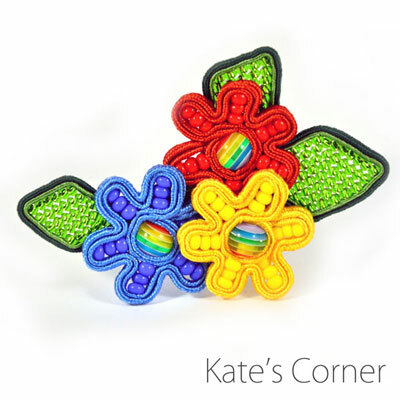 Flower brooches are popular with my friends. 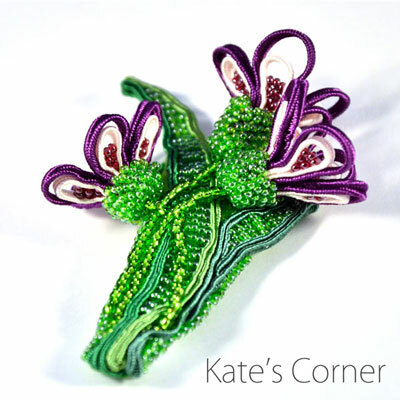 What was actually planned here was a brooch in many colours of spring. I wasn’t particularly surprised seeing that finally each of these colours was a shade of green: after all, it’s my favourite colour – and the colour of spring as well. This seems to be the favourite pattern of my friends and family, I wonder why. I’ve done six of them so far and there is still more demand.